How do I register to take an IBQMI® certification exam? The first step is to register and create an account. Signing up is free of charge for all interested students. After you create an account, you should log in and start the enrollment process. This can be done on any course page. Click on the "Enroll" button. You will be asked for payment (PayPal or credit card) and after the payment process is completed, you will be redirected to your activated enrollment. The official training material is included in the enrollment fee and will be ready for download. Our training material provides the coursework to study and pass the test. You now have 180 days to study the training material. You can start the final exam for the certification whenever you feel ready (within the 180 days). Where do I find my dashboard? Navigate to your dashboard by clicking "My Account" → "For Students". Click "Change Password" in the Settings section on the left. After the new password is entered, click "Save Changes". You will then be prompted to enter your username and an email will be sent to the email address stored in your IBQMI® profile. You must be able to access the email account associated with your account at IBQMI.org. By default, this is the email you provided at registration unless you have changed it in your IBQMI® dashboard. Click here to visit the IBQMI® login page. Click the "Forgot username or password" link on the login page. On this page, the username or the email address can be used to recover the login information that is needed. In this case, searching by email address will be used. Enter the email associated with your account at IBQMI.org and click "Search". A confirmation page will then appear. Click "Continue". An email with then be sent called "Change Password Confirmation". In this email there will be a link that resets the password for the login. Click on the link. Next, there will be a page that says, "Thank you for confirming the change of password". Click "Continue". Finally, an email called "Changed Password" will be sent with the login information needed to log into your IBQMI® account. How long does it take to get IBQMI® certified? All IBQMI® certification courses are self-paced. The time taken to complete and pass the test will vary with each individual. It may take several days or weeks of study before you feel comfortable enough to take the final test. You may take the final exam as soon as you are ready. There are no fixed dates for the final exam. You have 180 days from the date of purchase to complete the course and pass the final exam. Your name as a qualified expert. The protected qualification title of which you are allowed lifelong use. Free training material included with all certifications. 1. Lifelong learning lies in your own interests. Today, the information sector gives students better access to lifelong learning, whether in formal, non-formal, or informal contexts. 2. A certification renewal is an unnecessary cost for you and an additional business model for education providers. Most people will work while they learn, and it is indisputable that you learn the most at work and that knowledge comes from practice. In summary, this means that each certificate includes the protected qualification title of which you are allowed lifelong use. If you are still enrolled, you can download your certificate again from your dashboard. Please log into your account and click on "Download Certificate" from within your dashboard. Please ensure that your popup-blocker is deactivated. If you have been un-enrolled automatically after the 180-day period, then visit our validation database. Click here to enter validate.ibqmi.org. You will now need your serial number to validate your certificate. After you have entered the 32-digit serial number on your certificate, click "Verify Certificate". Now you can download your certificate. I do not have a serial number. If you have not written down your certificate’s serial number, please get in touch with us. After you have contacted our support team, we will send your certificate to the email address that was saved on the system during registration. You must be able to access the email account associated with your account at IBQMI.org. By default, this is the email you provided at registration unless you have changed it in your IBQMI® dashboard. It is possible that you no longer use or have access to the email address used to register your IBQMI® account. If you have not been able to change your email address and do not have access to the email address associated with your account, we can help by verifying your identity. To do this, our support team will ask you for official documents proving your identity, such as your passport and driver's license. As a government contractor, we take your privacy very seriously and have a process in place to verify the identity of our clients and assess the potential risk of illegal intentions regarding the business relationship. You can download your certificate again from your dashboard. Please log into your account and click on "Download Certificate" from within your dashboard. Your certificate will be emailed to the address you have provided (please ensure that your popup-blocker is deactivated). If you do not receive your certificate within the next hour, please check your spam folder and get in touch with us if you still have no email from us. After you have contacted our support team, we will send the certificate to the email address that was saved on the system during registration. How do I download my professional certificate? You can download your certificate from your dashboard. Please log into your account and click on "Download Certificate" from within your dashboard. Your certificate will be emailed to the address you have provided (please ensure that your popup-blocker is deactivated). Click here to enter validate.ibqmi.org. Your client or employer will now need your serial number to validate your certificate. This can be found on the certificate and consists of a 32-digit alphanumeric number. After your client or employer has entered the 32-digit serial number on your certificate, they must click on "Verify Certificate". They will then get immediate verification of your IBQMI® certificate. It is not possible for anyone to get the status of your certification without the serial number. As a government contractor, we take your privacy very seriously and have a process in place to verify the identity of our clients and assess the potential risks of illegal intentions regarding the business relationship. "This certification does not expire". Our certifications are used as a benchmark and a test of your knowledge and competency with the corresponding body of knowledge. We provide practical guidance and benchmarks in Lean Project Management, Kanban, TQM, and Enterprise Architecture certifications. Learn how you can get started and advance your career. Please have a look at our overview page. What are IBQMI® certification badges? It is important to be able to communicate the effort that goes into your certification achievements. The IBQMI® badges can highlight your accomplishments across social media, including on sites like Facebook and LinkedIn. You can also use it as part of your email signature and display it on any résumés that you post online or submit electronically. The IBQMI® badges are a symbol of your hard work, professionalism, and commitment. 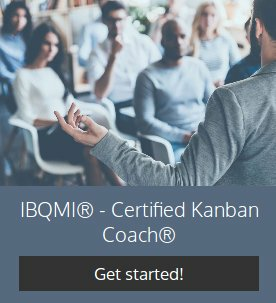 You can download your IBQMI® certification badge from your dashboard. Can I claim PDUs at PMI.org? You may receive PDU credits for all IBQMI® certifications. You must claim courses from third party education providers. Please click here and follow PMI's procedure for PDUs. How do you report PDUs? Every 6-12 months, you can take the information from your log and report the hours for PDU credits. The Project Management Institute (PMI) provides an online PDU reporting site. Click "Report PDUs" on the left. DO NOT select a provider from the list, simply type "IBQMI" into the field. DO NOT select an activity from the list because it will pre-populate the rest of the form with information from a pre-approved provider and activity. Simply type the activity name into the field (enter here your exact certification). Complete the remaining fields on this form. You need to complete all the fields to provide the details for the claim. Enter or modify the PDU values that align with the talent triangle. Manually enter PDU values under the technical skill area for each certification to which this activity applies (if you hold multiple certifications). Manually enter PDU values for leadership and strategic skill areas. These PDUs will automatically be shared across certifications (if you hold multiple certifications). Click on the box to agree the claim is accurate. Every PMP is subject to audit during the PDU submission process and you may have to show exactly how you earned all your PDU's. PMI reserves the right to reject some or all the PDUs that you claim. It is therefore best to keep a log of your work and efforts. Can I claim SEUs at Scrum Alliance? You may claim up to 15 SEU at scrumaliance.org for all IBQMI® certifications. Can I get these certifications through another institute? No, the International Business and Quality Management Institute holds the trademark rights for all professional certifications and is the only company worldwide that is authorized to certify you and grant rights to these professional job titles. The final exam is open book. Open book exams allow you to take notes, texts, or resource materials into an exam situation. They test your ability to find and apply information and knowledge, so are often used in subjects requiring direct reference to written materials. All exam questions are multiple choice questions with one or more correct answers and true/false. We do not penalize wrong answers. All questions carry equal weight in scoring. You can go back and answer unanswered questions. At the end of the assessment, we provide feedback on how well you scored overall so you can better prepare your studies for next time. We encourage you to navigate to and review the training material on our website. You may then further improve any skills that need strengthening. When you have passed the test, your certificate will be created immediately for download. The certificate will be registered automatically in our competence center and you will have the privilege of using the protected title in your CV for the rest of your life. After you submit the final exam, you have the opportunity (and responsibility) to review your results! This is not possible afterwards. This policy maintains the secrecy of our question bank. When you have passed the test, your certificate will be created immediately for download. Additionally, this certificate will be registered automatically with a serial number in our competence center and you will have the privilege of using your IBQMI® title in your CV for the rest of your life. After you submit the final exam, you can review your answers! It is not possible to provide answers for the tests of our certifications. The answers to the questions are not displayed. This policy maintains the secrecy of our question bank. In what languages are the final exams offered? All the IBQMI® examinations are conducted in English. English is not my first language. Will I get extra time to compose exam answers? If English is not your native language, then you might have a certain disadvantage. This should not become a reason for failing an IBQMI® exam, however. You should spend more time preparing for the exam to overcome this disadvantage. Some institutes provide language aids to non-English-speaking students. These language aids translate English questions to your preferred language. Although they are available, we are not convinced of the usefulness of these aids. During the exam, you are in a stressful situation that has a time limit. You do not want to waste precious moments translating an English question into your native language. It is better to be prepared upfront for the exam. That is why IBQMI® does not provide language aids or other sheets. The final exam is open book. Open book exams allow you to take notes, texts, or resource materials into an exam situation. They test your ability to find and apply information and knowledge and are often used in subjects requiring direct references to written materials. If you read the training material and practice, you can craft a strategy to overcome this disadvantage. Will I get a free or discounted retake if I do not pass my first assessment? IBQMI® does not offer any discounts on assessments purchased from our website, but depending on the type of certification, you might be allowed multiple attempts. If you enroll in the Certified Lean Project Manager®, you will have two attempts! This means that if you fail, you can retake a certificate exam without incurring additional charges. For the Certified Kanban Coach®, however, you only get one attempt to reach the passing score of 65%. If you do not pass the final exam for the Certified Kanban Coach®, you must pay for another attempt. If you fail, you must purchase another attempt. You can retake a certification course as often as you want. We do not offer any simulators, as we are the certification body and do not prepare students. As a certifying body, we have accredited training partners located in over 30 countries worldwide. Therefore, if you need training or are unsure about your abilities, you should consider taking part in classroom training with an IBQMI® ATP. The price of further classroom training depends on the training institute. We therefore assume no responsibility for any third-party pricing. How can I verify an individual’s certification status? Each certificate can be validated in our validation database. Your will need the serial number to validate a certificate. This can be found on the certificate and consists of a 32-digit alphanumeric number. After you have entered the serial number from the certificate, you must click "Verify Certificate". You will then get the detailed results of your query and immediate verification of the IBQMI® certificate. Can I get a list of IBQMI® certified individuals? We do not publish a list of our students. As a US government contractor, trust and respect are key values within our organization. We Respect Your Privacy! Any and all information collected at this site will be kept strictly confidential and will not be sold, rented, loaned, or otherwise disclosed. If students want to be found as a listed IBQMI® expert, they can publish their 32-digit alphanumeric serial number (on LinkedIn. etc. ), which can be used to verify their status. Do I need to disable pop-up blockers to take the final exam? To take the final exam, you should enable pop-ups for the IBQMI.org website. Most browsers will have an automatic pop-up blocker and there may be additional ones built into add-ons like the Google or Yahoo toolbars. You may need to enable pop-ups in more than one place to ensure you can take your final exam. Instructions are given below for Firefox and Google Chrome. You may need to look around to locate the pop-up controls for other browsers or add-ons, but the process should be similar. Locate and click on the "Tools" menu. This is available through the orange Firefox box in the upper left corner of the browser. If you do not see the "Tools" menu, you can hold down the Alt key on your keyboard, then press and release the T key. Now release the Alt key. A "Tools" menu should appear. Click on the word "Options" from the bottom of the "Tools" menu. Click the "Content" icon at the top of the "Options" window. Click the "Exceptions" button to the right of the "Block pop-up windows" option. Type IBQMI.org into the "Address of web site" box, then click the "Allow" button. Click "Show advanced settings" at the bottom of the page. In the "Pop-ups" section, click "Manage Exceptions". Type IBQMI.org into the "Add a new hostname" box, and then click the "Done" button. Click "Done" again and then close the "Settings" tab. My session was disconnected. How can I resume it? Our system has an autosave feature to protect your results, which means that the system saves each answer individually. If we detect that a student's Internet connection has dropped, and you did not manually click the "Finish" button, your assessment session will be paused, and the timer will not continue to count down. When you return to continue the final exam, our system will remember which page you were on and will allow you to continue from there, having saved your previous answers. If you still have difficulties accessing the final exam, please contact us. After your payment, enrollment is started automatically. Depending on the type of payment, you will get a notification from PayPal or from our credit card payment gateway. As we have students from all over the world and know the existing differences in the national tax regimes, we send an additional receipt/invoice in accordance with the fiscal requirements for your records. We accept PayPal and international cards and currencies. We accept all major debit and credit cards from our customers in every country in 135+ currencies. You can also use 3D Secure for any payment. As with billing addresses, we will run a CVC check with the credit card network to avoid fraud. We do not retain live records of credit card information on our web servers after the transaction has been completed. Payments can fail for a variety of reasons and it is frustrating if this means a loss of legitimate business. Certain failures are preventative measures, e.g. working to minimize the possibility of a fraudulent payment that otherwise may have resulted in a dispute. If you pay with a credit card, please ensure that you provide a CVC code and your address. As with billing addresses, we will run a CVC check with the credit card network to avoid fraud. 1. Payments declined by card issuers. When a charge is submitted to the issuer of your card, they have automated systems that determine whether to authorize it. These systems take various signals into account, such as your spending habits, account balance, and card information, e.g. the expiration date and CVC. 2. Not complete or incorrect information. Card issuer declines arising from incorrect card information (e.g. incorrect card number or expiration date) are best handled by correcting the error or using another card or payment method. Card issuer suspicions of fraudulent activity are more challenging to manage, but having customers provide the CVC and ZIP code when checking out can significantly decrease the number of declines they experience. Using a CVC is only strictly necessary if your account is based in a European country, but it is still highly recommended. The influence of any other data you supply, e.g. your full address, varies by card brand and country. If you are still experiencing a higher-than-expected number of declined payments, consider submitting this additional data. Our automated fraud prevention toolset blocks any payments that we identify as being high risk. This helps us effectively combat fraud, e.g. by blocking payments if the CVC or ZIP code does not match the information held by your card issuer. A blocked payment is initially authorized by the card issuer and could be processed successfully. Instead, we do not charge the card as it is likely the payment is fraudulent and could result in a dispute. Depending on the type of card being used, some students may see the card issuer’s authorization for the payment amount on their statement. This amount has not been charged and no funds have been taken. The authorization is removed from your statement by the card issuer within a few days. No. This is a one-off payment enrollment that lasts for 180 days. What is your refund or cancellations policy? You have not downloaded the official training material. The order must have been placed within the past 30 days. No cancellations or refunds can be processed for any orders 30 days after the purchase date. What if I have already downloaded the training material? As a courtesy, we can usually refund the fee within 30 days for our students. As our training book is a copyright protected digital good that we cannot take back, however, we cannot refund the full price and will subtract the amount for the training material. If you are unsure, please do not download any training material! No, all training materials are included in your purchase. Our training material provides the coursework to study and pass the test. We may sometimes recommend books for further study, but these are not a requirement. Who can take IBQMI® exams? Delegates should have some understanding of agile management, but there is no formal prerequisite for this team qualification. As an IBQMI® Approved Kanban Professional, you can leverage Kanban principles by matching the amount of work in progress (WIP) to the team’s capacity. You should take care that you and your team colleagues have faster output and more transparency throughout the development cycle. You will learn to work in an agile team under the guidance of a Certified Kanban Coach®. A Certified Kanban Coach® must function at a high level within an organization and needs a solid understanding of the Kanban principles so they can analyze waste components and create a value stream. If you are an experienced coach or have worked for several years in agile management, then the Certified Kanban Coach® is the right choice for you. A Certified Lean Project Manager® is the first point of contact for any issues arising from the heads of various departments in an organization. You will need to know how to establish systematic methods for the elimination of waste within projects. The test will also ensure that you understand how to lead teams and how to use continuous improvement to get quality right from the start. This certification is tied to the training of our accredited training partner and cannot be booked publicly. Do I need to take part in classroom training before taking the final exam? No. None of the IBQMI® certifications require attendance at classroom training. IBQMI.org certificates last for the rest of your life and do not require any additional payments or renewals. What is the best way to prepare for my IBQMI® exam? Experience has shown that work experience is considered more important than any degree. If you do not have work experience, however, the official training material is where you should start and is an important resource for passing the various available assessments. Attending classroom training by an IBQMI® accredited training partner is also a great way to prepare you for the final exam, but it is not a requirement.